The AFOL (Adult Fan Of Lego) is a growing and increasingly demanding reality. Flamingo is a desk brimming with finesse and ingenuity. Children’s table with 4 stools. The round shape creates an intimate play environment for the children. 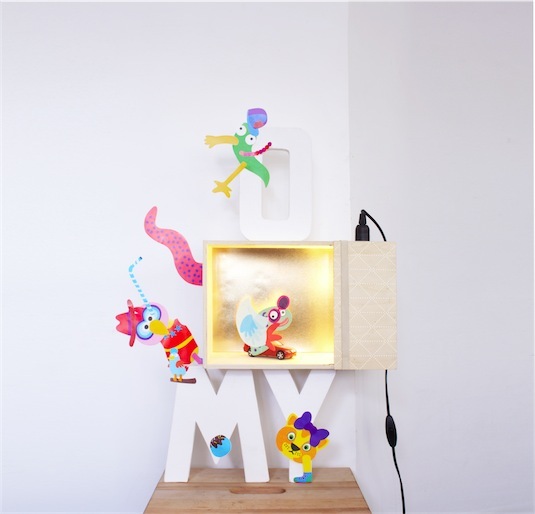 Elements to create a special children’s entertainment corner. In days of routines, demands and responsibilities, it is still very important for children to be allowed to just play. The stooler allows you to reuse and recycle almost any object and turn it into a comfy stool. My.Prototype | February 30th… be inspired! We have brought together 11 designers and put at their disposition 15 portfolios. Village_Resembling a peaceful village in the woods, this table will stimulate the children’s emotional. A table collection for Walt Disney Japan, based on Winnie the Pooh and his friends. Truck is not a toy for children but it helps us organize things on working desk. The Asterisk puzzle stool is an interactive learning experience for children. From creation to utilization, the child is involved. Rocky is now even safer. We have achieved this by adding 4cm to the height of the bedrail. Duepuntispazio: Mariagrazia and Cecilia, women and mothers attentive to trends and passionate to details. Laura Fiaschi and Gabriele Pardi: they deal with architecture, industrial design, graphics, art direction for companies and events.